Recently I received a really lovely comment saying how great my skin looked and the commenter was wondering what I was using to get that look. I cannot tell you how many people worldwide struggle with getting dewy luminous looking skin while wearing makeup, so I thought I would share my secret with you. The first thing you want to do it do your skin routine, meaning cleanse, tone, serums, and moisturize, and allow that to sit for about 15-20 minutes, if your pressed for time 10 minutes. Then apply Neutrogena SPF 55 and allow that to sit for an additional 15-20 minutes or 10 minutes if time is an issue. Please don’t do less than 10 minutes on this step as sunscreen can be quite greasy looking and while thats part of the secret to dewy skin if you apply your makeup too soon it won’t set right so 10 minutes minimum! Third prep the skin, so we are starting off with 3 spritzes of the Urban Decay Chill Makeup Setting Spray, this has completely changed the staying power of my makeup, it was a sales person from Sephora that gave me the tip of using it before makeup and I love them dearly for it. Then add Mac Prep & Prime all over the face, this again will help with the staying power of your makeup, but it’s also our first layer and it will help covers pores and imperfections we don’t want people to see. 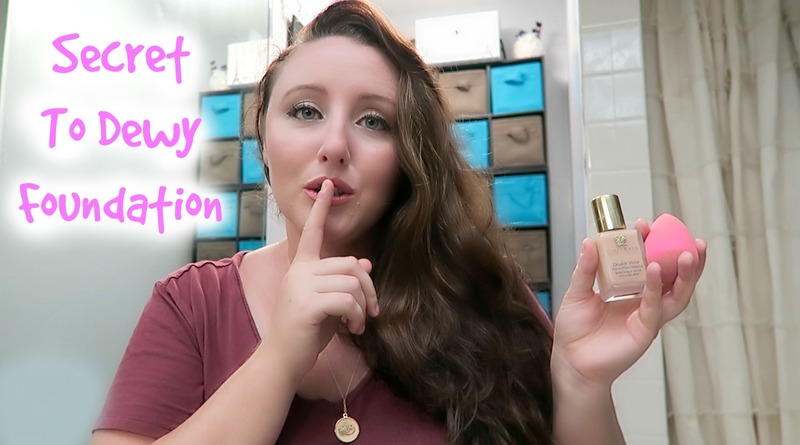 Now time for foundation, I’m using Estee Lauder Double Wear and applying it with a damp beauty blender, if you don’t know how to use a beauty blender watch my video below. If you have very dry/dull skin you can add 1-2 drops of a beauty oil to your beauty blender before applying your foundation. Then apply Estee Lauder Double Wear Concealer under your eyes, around your nose, and anywhere else you may need it. 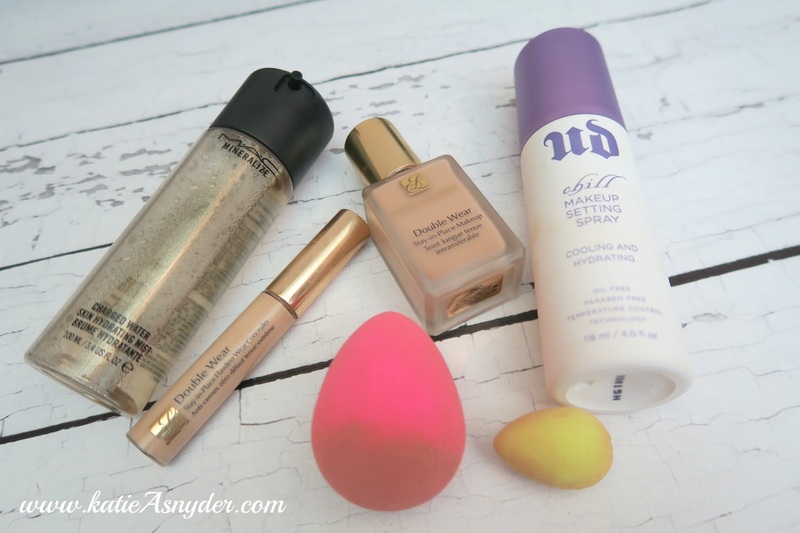 You can blend it in with the same beauty blender you already used, or go with the Micro Beauty Blender. Now at this stage you will be tempted to use powder, you can if you want to but powder has a matte quality to it so if you need it dust your T-Zone and leave it at that. Then spray with the Urban Decay Chill Makeup Setting Spray and the Mac Mineralize Charged Water and you are good to go! The biggest secret to getting Dewy looking skin, is layering your products correctly so that everything has the chance to be absorbed, or else you can’t end up looking really cakey. Also by adding your sunscreen you not only protect your skin, but you also get that extra bit of glow without looking oily. If you have any questions leave them in the comments below and you can also watch the video of me doing this here.